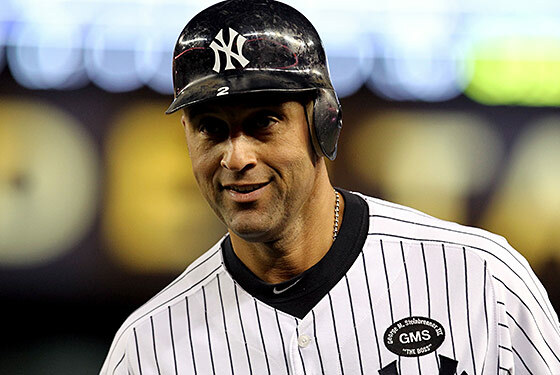 Are the Yankees and Derek Jeter Getting Any Closer? That depends on whose sources you believe. Jon Heyman, for example, reported yesterday that the Yankees are willing to up their next offer "a couple million more per year, so perhaps in the $50 million range for three years." That wouldn't meet Jeter's reported demands — more on those in a second — but considering the Yankees are bidding against themselves at this point, any movement on their part is a step toward finding a middle ground. A Post source, however, says that Heyman's report isn't true and that the Yankees offer remains three years for $45 million. Meanwhile, on Jeter's end, even Casey Close considered last week's report that his client's starting point was six years for $150 million outrageous — enough so that he released a statement calling it "simply inaccurate." Still, Jeter's actual reported demands (or at least, his reported demands that haven't been explicitly denied) are only slightly more reasonable: four to five years at $23 to $24 million per year. We still think he'll get that fourth year — Close has surely reminded Cashman a few dozen times that he gave Jorge Posada, a catcher, a contract until he's 40, albeit under different negotiating circumstances — but until Jeter's camp lowers their annual-salary demands, this whole miserable process will continue.